In director Sam Raimi's moody, intense thriller, brilliant scientist Peyton Westlake (Liam Neeson) is almost killed by gangsters in a massive explosion. Unstable and disfigured, Peyton becomes Darkman, an impossibly strong, tormented antihero. 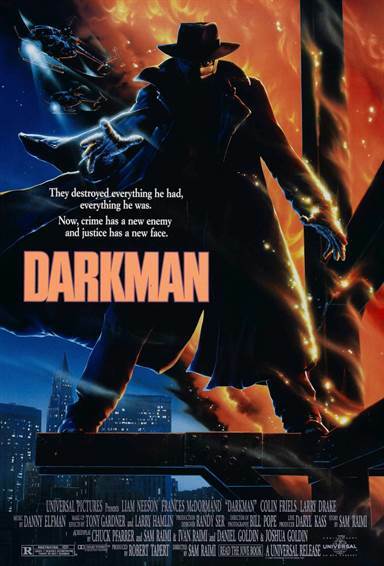 Able to spend only moments in the sunlight, Darkman begins a quest to rekindle his love with his girlfriend (Frances McDormand), who he's held at a distance, and to take vengeance on his enemies. Download Darkman in Digital HD from the iTunes store. Darkman images are © Universal Pictures. All Rights Reserved.